Reigning king of chess, Magnus Carlsen, defends his title in the third round of the world championship in New York this afternoon. The 12-game match is tied at two draws after games held Friday and Saturday. The Norwegian grandmaster opened the match amusingly with an homage “a little bit,” he said, to the president-elect of the United States with a series of moves known as the Trompowsky Attack. “If I had known how many questions I would have about it, I would have played something else,” the charismatic 26-year-old said in a post-game press conference. This meme started making the internet rounds shortly after the start of the championship match. 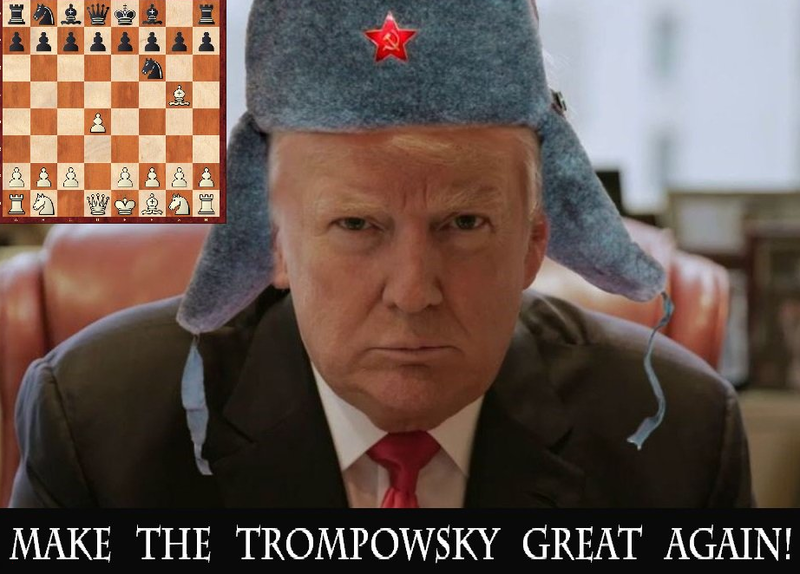 The Trumpowsky is a solid opening but rarely seen at the highest level and was intended to surprise the Russian challenger. Karjakin, also 26 but introverted and known for a very good repertoire of opening moves, responded quickly and well up to the sixth move. After a ‘big think’, the Crimean-born challenger parried Carlsen’s attack with the white pieces well, and the two settled on a draw at move 42. Switching sides of the board for round two, it was Karjakin’s turn to start, choosing the oldest, most thoroughly-analyzed opening called the Ruy Lopez. Carlsen responded, not with an expected Berlin Defence (also known as the Berlin Wall), but with the Spanish Game. The chess titans battled to a second draw and Carlsen was almost apologetic afterward, saying “fireworks” will happen at some point in the match. Theorists suggest the second game also contained a subliminal message. 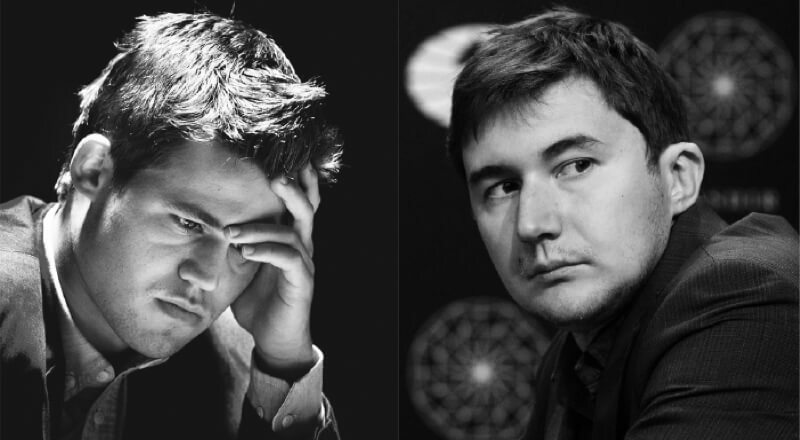 When faced with the choice, Carlsen chose against the wall to follow his Trompowsky. There is a “Mexican Defense” but it would be up to Black to play it today. Grandmaster Karjakin, however, is all business and his goal is to be world champion. The third round starts at 2 p.m. in the former Fulton’s Fish Market in the heart of the city.